The beach is pristine with very impressive scenery. 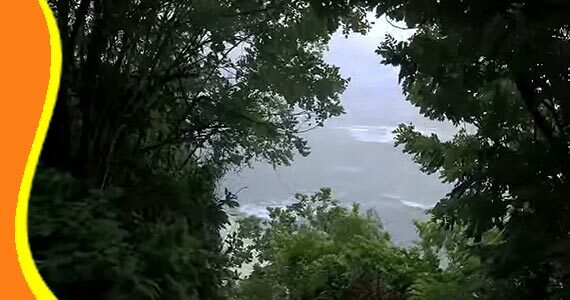 A beautiful view of the beach which is hidden behind the hills and isolated by trees. On the way to the Beach, you will find trees around the hill. To go to this place you have to go down hundreds of steps up to the end you will find an amazing view. Color of seawater graded from light blue to dark blue and from light green to blue sea. Gradation caused many plants seaweed along the shoreline. The sand is like powder, smooth, white, and thick that when stepped foot would rather set. The beach is clean because it is rarely visited by people, no rubbish in addition to colorful coral reefs and sea grass dry. Green Bowl Beach rarely publicized in the media, so not many tourists are aware of the existence of this beach. This beautiful beach has three names of all in English : Green Bowl Beach, Bali Cliff Beach, and Hidden Beach. Surely no special reason behind giving this three names. Green Bowl Beach name taken from sea water is green and when viewed from above is shaped like a bowl (bowl periphery are cliffs and rocks). Name Green Bowl also because there used to be a company called PT. Green Bowl which will build a hotel (resort) near this beach. While Bali Cliff Beach name given because there used to be a hotel named Bali Cliff (now closed), which is in the edge of the cliff above this beach. 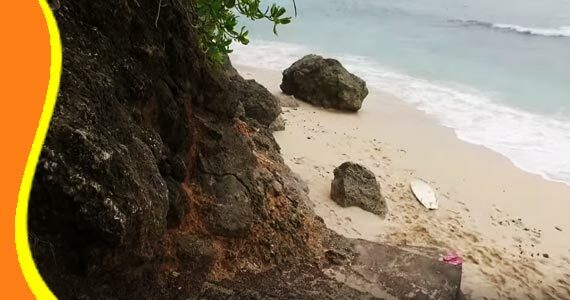 Last name, Hidden Beach is given as the location of these beaches are completely hidden behind the cliff. Bring food and drinks because there is no food vendors on the beach, except in parking area, above the cliff. Take care of our environment by not throwing trash on the beach. You can keep it and throw it to bin later when you arrive at the top. Bats are around the cave made a very offensive smell for you. Be careful when way down hundreds of steps are quite steep on the right side. Some parts of the iron shield is damaged. - Admission Fee in Green Bowl Beach Ungasan Bali is Free of Charge. Just parking fee. For further explanation or information about Pantai Green Bowl Bali, Green Bowl Pecatu, Green Bowl Beach Transport, Visit to Ungasan Green Bowl. Get a Bali Transport from your stay (Bali Resort or Bali Hotel). You can contact us if you need transport to go to Bali Green Bowl Beach Ungasan Bali and other related Bali tourist destination. 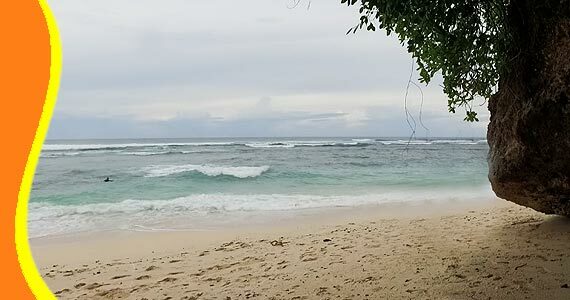 Tour to Green Bowl Beach Ungasan Bali can be combined and implemented in conjunction with other activities Trip or Tour in the same direction. 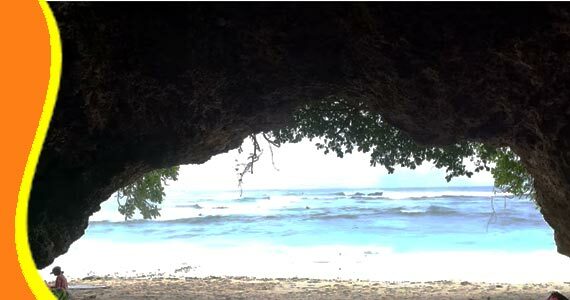 Watch on Youtube Video Player of Green Bowl Beach Bali. “Hidden Beach in Paradise Island (Marco - Italy)"